Apart from the regular 6 night/7 day all-inclusive barge cruises that you see on this website, we also offer a select number of boutique, luxury small group tours – some of which include a barge cruise! These small group tours are perfect for groups of friends or family to book exclusively, or you can join our many repeat guests on one of our scheduled departures! These tours are not only in France, as we have years of experience of operating tours in many locations, and work with exceptional local operators to provide unforgettable travel experiences for our guests. Spain, Italy, UK, Morocco, China and Quebec are just a few of the destinations we offer, and here on our website you will see the tours we are offering for the current and following year. Some of our tours incorporate one week on land and one week on a barge cruise; others stay in exclusive and charming hotels exploring one or two different regions. The south western French region of Perigord, or as many of us know it, the “Dordogne”, is a feast of historic sites, perched villages, deep river valleys and the “land of 1,000 chateaux”. Stay in a a gorgeous Relais & Chateaux hotel in the tiny village of Tremolat, on the banks of the Dordogne River, followed by the perfectly preserved town of Sarlat-La-Caneda, with its honey coloured stone and lauze rooves, each evening is a treat as we wander among cobbled streets, discovering shops, restaurants and truly awe-inspiring buildings. 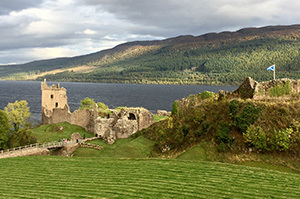 This fabulous tour incorporates a week discovering the magnificent Royal city of Edinburgh and surrounding regions, including VIP seats at the spectacular Military Tattoo; a week cruising in the stunning Highlands on the luxury hotel barge “Spirit of Scotland”, and finishing with a stay at exquisite Inverlochy Castle. 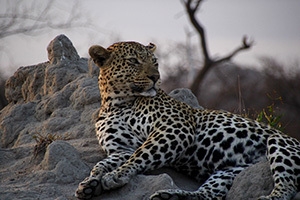 Discover the wonders of magnificent South Africa and Zambia on this unique small group tour, staying in superb luxury safari lodges from where your game drives each day allow you to discover wild animals in prolific numbers. The tour also includes the stunning Cape region of South Africa, staying on the sea in Cape Town and a luxury hotel in the breathtaking region of Franschhoek. 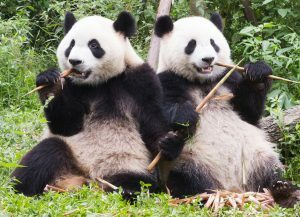 On this unique tour, you will enjoy the hidden secrets of the wonderful city of Shanghai, fascinating historic Beijing, the incredible Terracotta Warriors of Xian, adorable Pandas and Sichuan Opera in Chengdu, and the spectacular countryside of Guilin – staying in luxury boutique accommodation throughout! 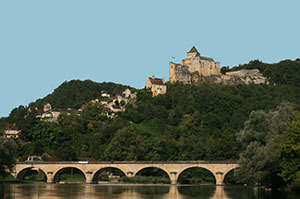 The first week: we are based in a charming boutique hotel in one region of France – day trips on an air conditioned minibus; relaxed touring with plenty of free time to discover villages, restaurants, wineries and markets; and a well chosen, balanced mix of the history, culture and cuisine of the region – these are the hallmarks of our small group tours. The second week: Next, we transfer to the barge for an unforgettable week of cruising through peaceful French countryside, fabulous food and wine, fascinating excursions and exceptionally attentive crew! This combination of touring and barge cruise is a holiday choice that our guests have been enjoying, and raving about, for the last seventeen years! We select our hotels, itineraries and barges exceptionally carefully and this means that our guests not only come home with indelible memories, but come back time and again for more. These tours do not include a barge cruise, but spend 14 – 16 days discovering different regions and staying in charming, boutique accommodation, often for up to a week at a time so that you get to relax, unpack and truly feel the ambience of that particular location. Touring in air conditioned mini-buses, we explore the unique history, culture, traditions, food and wine of these regions and also allow plenty of free time for you to enjoy your surrounds at your own pace. Travelling in small groups of up to 16 people maximum, our guests have been enjoying this small group tour format since we began in 1999. Many of our guests return and discover new regions and countries and in fact 70% of our groups are made up of repeat guests.